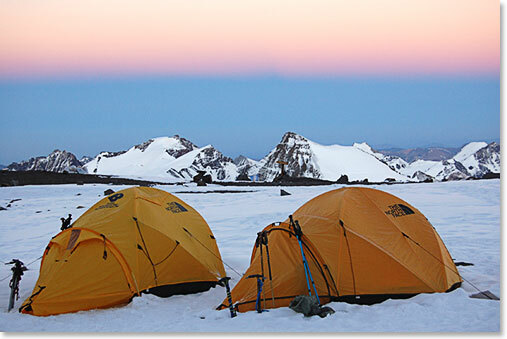 As the second highest (behind Everest) of the acclaimed “Seven Summits” Aconcagua is a supreme goal in the world of high altitude challenge and adventure. It is also the highest point in both the southern and the western hemispheres. Good friends, Rick Touchette and John O’Brien have decided to join the Berg Adventures International team in January 2019 to give Aconcagua a try. Follow along here for some photo updates, and voice dispatches from the team and they travel from Mendoza’s wine country to the windy cold and demanding summit of the Andes. January 12, 2019 – Made It to Plaza de Mulas!